Salcantay, or better known as Salkantay, is the highest peak of the Willkapampa mountain range, part of the Peruvian Andes. It is located in the Cusco - Peru, about 60 km (40 mi). It is the 38th highest peak in the Andes, and the twelfth highest in Peru. However, as a range highpoint in deeply incised terrain, it is the second most topographically prominent peak in the country, after Huascarán. 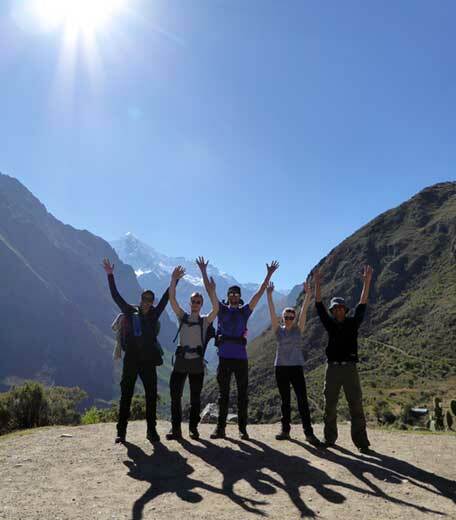 Salkantay's proximity to Machu Picchu makes trekking around it, as an alternative to Inca Trail; this is known as the Salkantay trek. 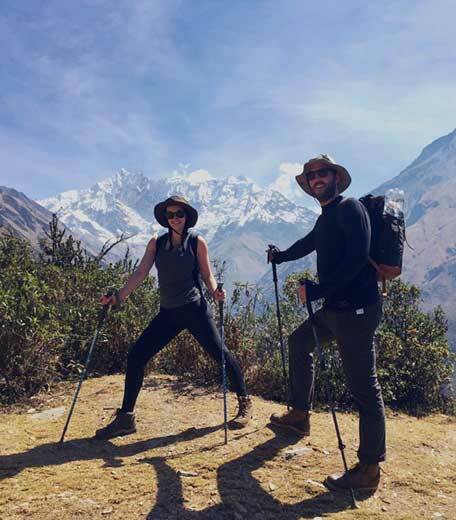 That's why Salkantay trekking is the best alternative hike to this wonderful site, you won’t only see mountains, you will have the opportunity to see, rivers, snow, amazing lands, flora, fauna, jungle and more unbelievable things, that you will remember in all rest of your life. 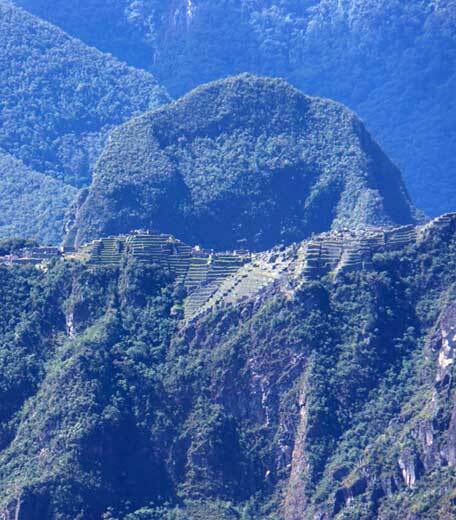 The Classic Salcantay Trek to Machu Picchu, the most popular destination in South America! It presents a unique combination of culture, with preserved proudly by the Peruvian people, and is an amazing adventure and extraordinary natural beauty, where the cold ice of the mountains meets the steamy heat of the Andean jungle. This route is surrounded by the historic Machu Picchu National Park of Peru and is considered one of the 25 best treks in the world. This hike is very diverse and rich geography hike, Andean culture and history. The famous place in the trekking is "Salkantay Pass". The trekking starts in Mollepata, a couple of hours away from Cusco and ends in Santa Teresa or Hidroelectrica giving access to Aguas Calientes. 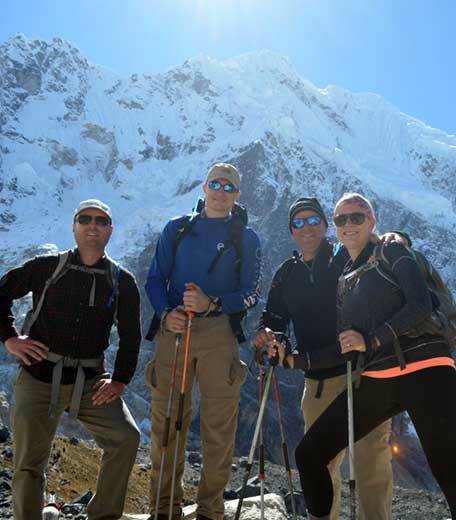 The hike is not as popular as the overbooked Inca Trail but many find it just as beautiful. The first day of hiking from Mollepata to Soraypampa will be gently uphill and mostly along a road (there are a couple of places selling drinks and snacks, read more advices and tips and this first day is the same for almost all the treks). There are some short cuts we can take to reach to Soraypampa which will probably be the highest and coldest sleeping place on this mountain (at night or a day). There is a camp site, but we can also freedom camp in the bush. Take it easy on the pass the next day, especially if we realize you are not acclimatized. At La Playa there is a pedestrian bridge where you can cross to the right side of the valley if you were hiking on the left side. There is a campsite for organized groups at Lucmabamba (near a school), There are also shops around, where you can also buy something to eat. It is highly recommended to hike from here to Hidroelectrica rather than to Santa Teresa. The hike to Hidroelectrica is very well marked. You will have to climb for 3 hours then go down for 2 hours to reach Hidroelectrica. Some 15 minutes after the top of the climb there are some ruins with amazing views to Machu Picchu where you can wild camp. This is highly recommended if you can time it so. If we decide to explore the ruins, watch out for rattlesnakes and tarantulas on the overgrown paths around. The same is valid for the whole hike in that area.